• Assist with budgeting, grocery shopping, meal planning, medical issues, etc. All offers of employment depend on a clean background and driving record check and drug screen. Applicants should be over the age of 18 and have a high school diploma or GED. 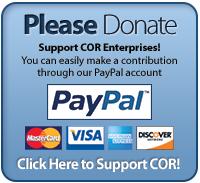 COR Enterprises is an Equal Opportunity Employer. Print out the COR CGC application for employment . 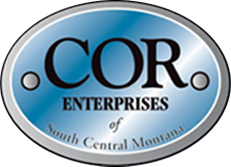 Completed applications and / or resumes can be dropped off at 2121 Lampman Drive, faxed to 245-0606 or emailed to cor@corenterprises.com.